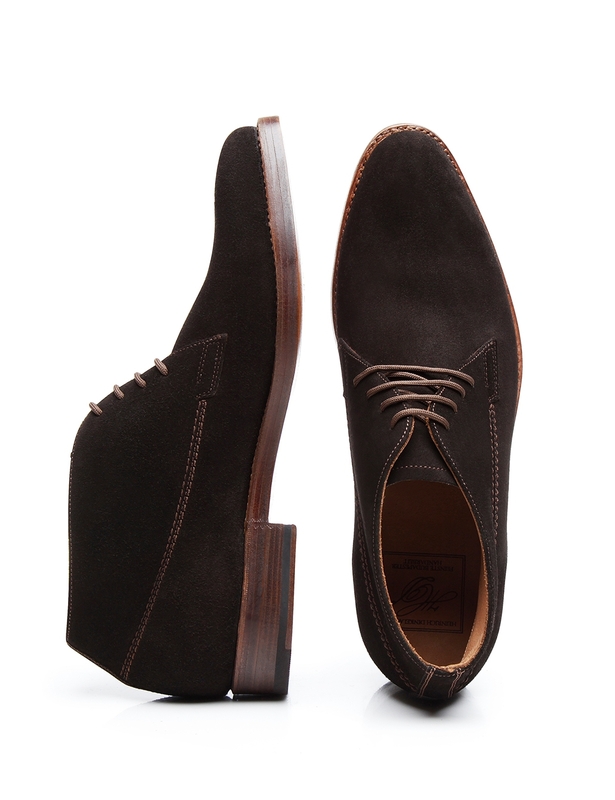 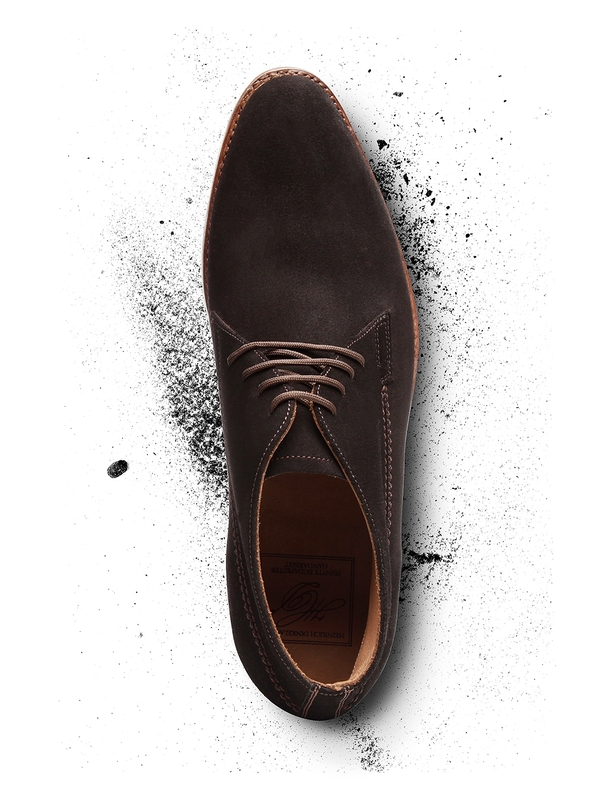 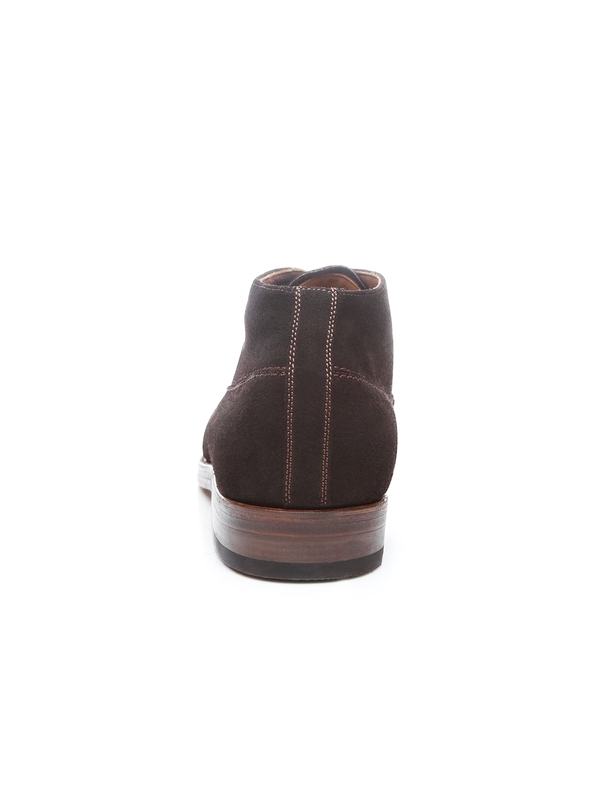 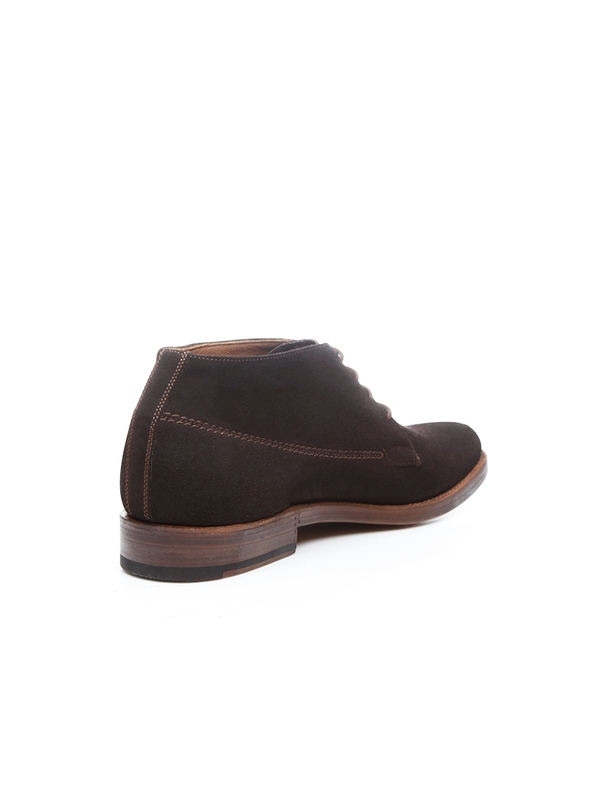 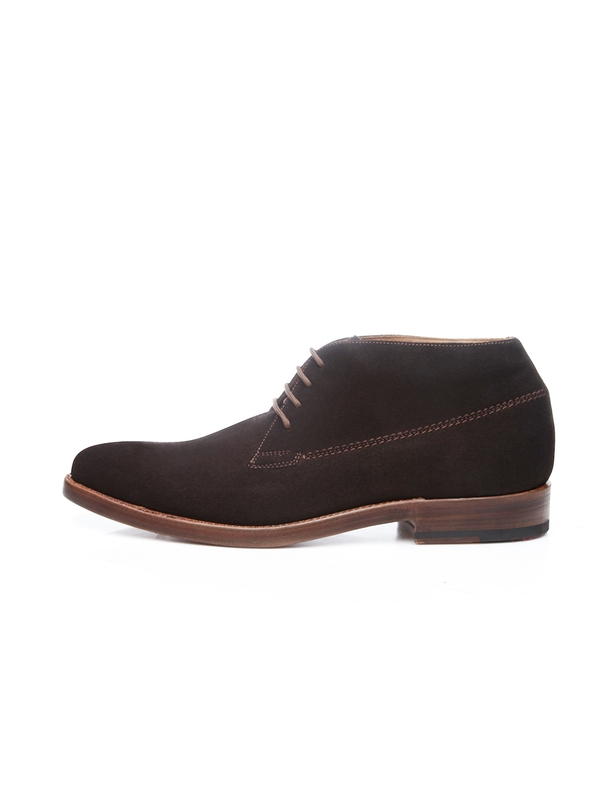 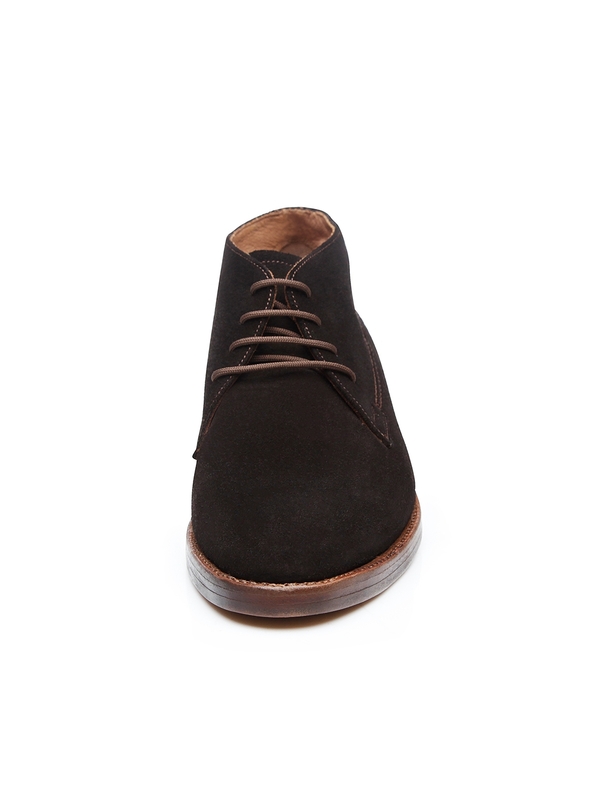 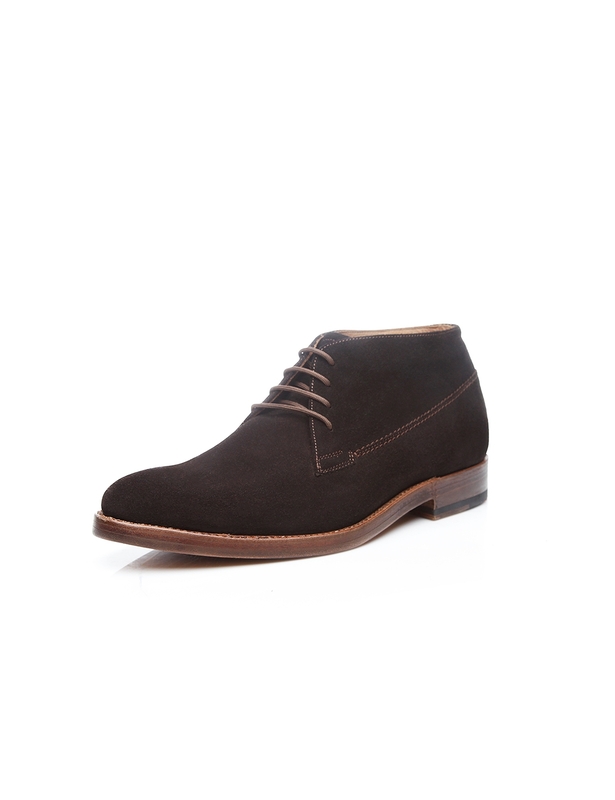 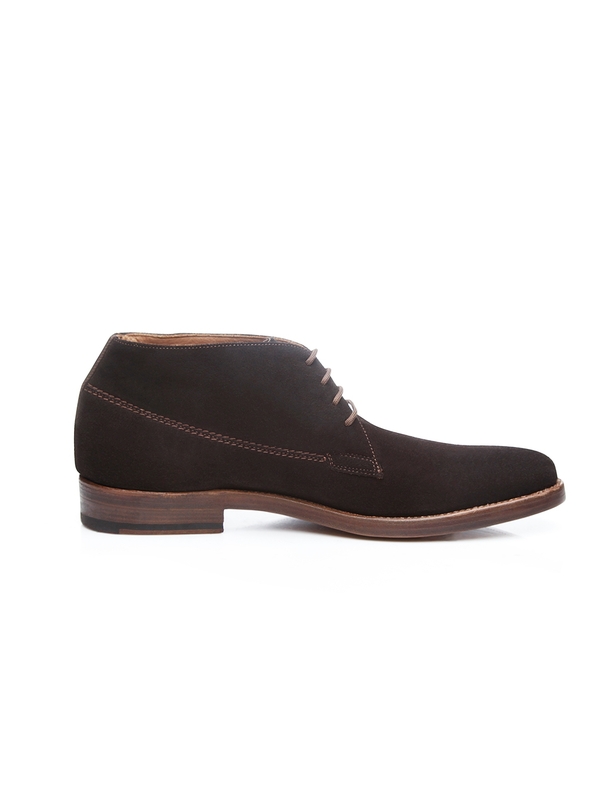 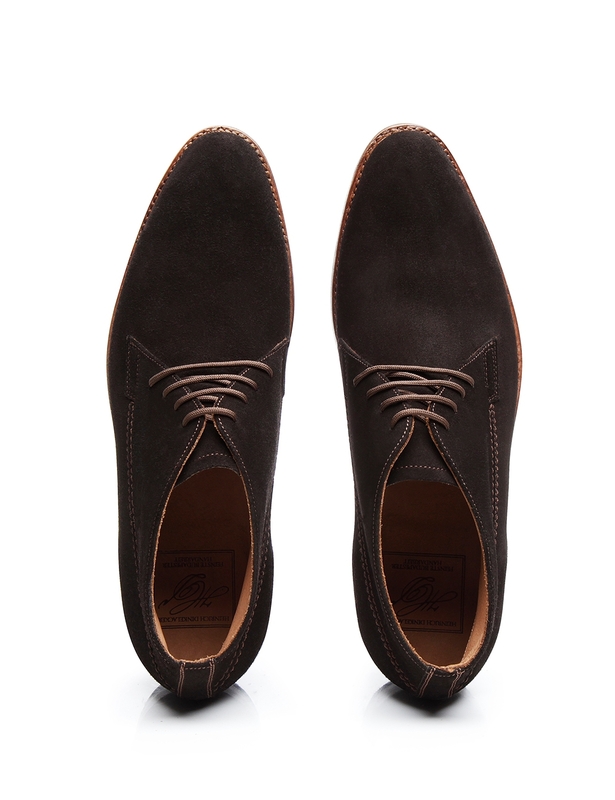 This sewn-welted ankle boot for men is stylish and elegant, with a hint of nonchalance. 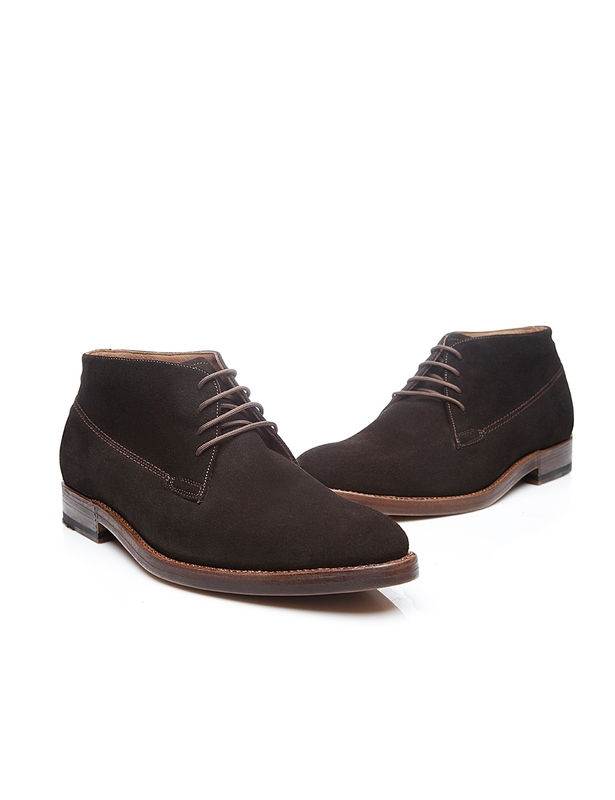 Featuring a slim last and soft suede shaft, this entirely handmade men’s boot impresses with a dynamic look and exquisite workmanship. 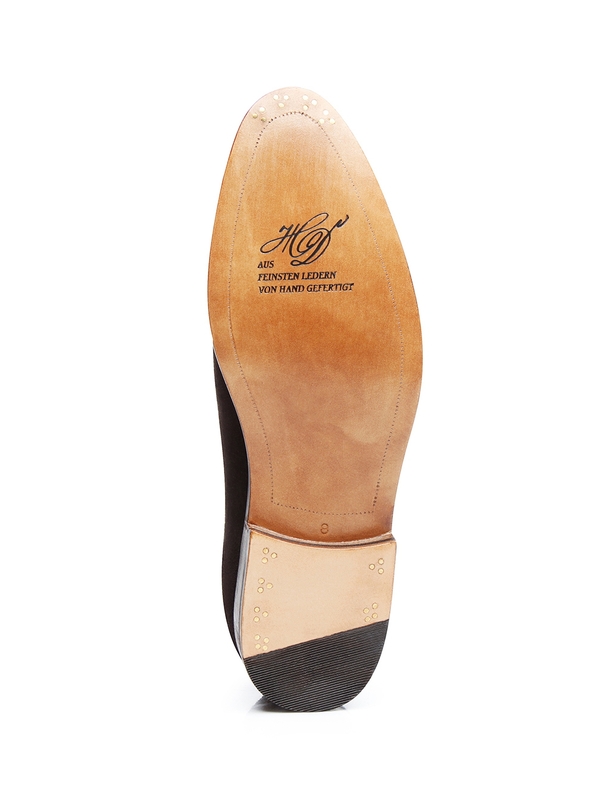 Its durable double sole with a classic set of three nails is remarkably flexible, constructed around a premium leather outsole from Trier’s Rendenbach tannery. 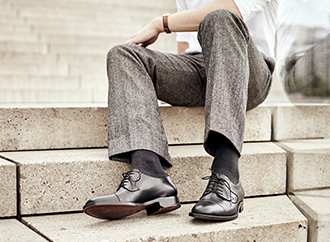 Traditional craftsmanship from shaft to sole is the hallmark of the Heinrich Dinkelacker collection.